Making the decision to seek mental health services is a very personal choice and one that requires much thought and consideration. It is important to receive treatment from people who are not only licensed and qualified, but who are also comforting and supportive. At Recovery NOW, we believe the future is bright for those who seek the help they need. Our number one goal is helping the people we serve, treating each individual as a person – not a number or an illness. Disorders and problems do not define the people we treat; they are merely obstacles in the path to a better life. From the moment you enter our offices, you are greeted with a calm, spa-like, inviting and comfortable office environment. We realize the importance of an individual feeling comfortable and at ease versus walking into a sterile mental health facility or hospital-like environment which may create feelings of discomfort. We pay great attention to all details and listen very carefully to your needs and concerns. You are in the right place to assist you with overall life improvement. We look forward to the opportunity to assist you with your journey towards positive life changes. At our office, we work together as a team, bringing the feeling of family into the treatment experience. Our team utilizes multiple services and for some multiple providers in our group to help clients and their families achieve success. Individual, family/couples and group therapy are at the foundation of our practice and help us lay the groundwork for a positive path to realizing one’s full potential. 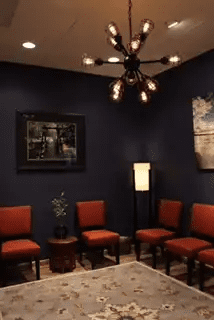 Most importantly, the Recovery NOW family is made up of some of the premier therapists and practitioners in the entire San Pedro and Hermosa Beach area. When you choose Recovery NOW, you are getting more than a group of general therapists – you are receiving exceptional care from a team of extraordinary individuals.